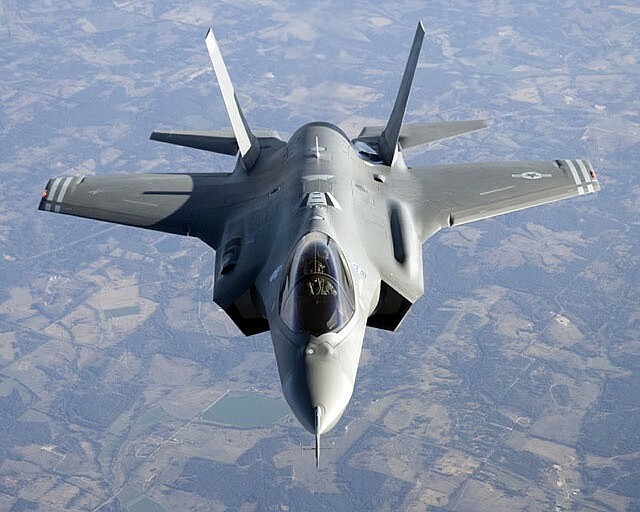 Winooski voters today approved a referendum article opposing the Pentagon's decision to base F-35 fighter jets at nearby Burlington International Airport in 2020. By a 572-475 vote, residents backed the non-binding referendum, which asked whether the city should join a lawsuit in which anti-F-35 activists are seeking to prevent the planes from coming to Vermont. The plaintiffs, who include four Winooski residents, claim the military failed to perform required environmental reviews before deciding to place the jets in Burlington. Activists had fought for years to block the planes, citing the noise levels caused by their takeoffs and landings. The F-35 noise zone will affect 6,600 local residents, including many in the Onion City. The article was strictly advisory. The city council has the authority to compel the city to join the ongoing litigation, which is being heard in U.S. District Court in Burlington. No other communities are parties in the lawsuit, which is still in its early stages and could take years to resolve. James Dumont, the attorney representing the plaintiffs, told Seven Days last month that he hoped Winooski would sign up. Dumont said he would not necessarily seek to have the city make a financial contribution to the case. Seth Leonard, who won the mayor's race, said of the referendum, "Now, we go back and do our legal homework."